My initial reaction was, “Dear God-no-why?”, but I took a deep breath and decided I needed get some more info. Now before making a proper assessment, I wanted to gather some insight as to how this logo was developed and/or if there is a brand narrative out there. Fresno Football Club was introduced about two weeks ago on July 26, as one of three teams starting the 2018 season with the United Soccer League. 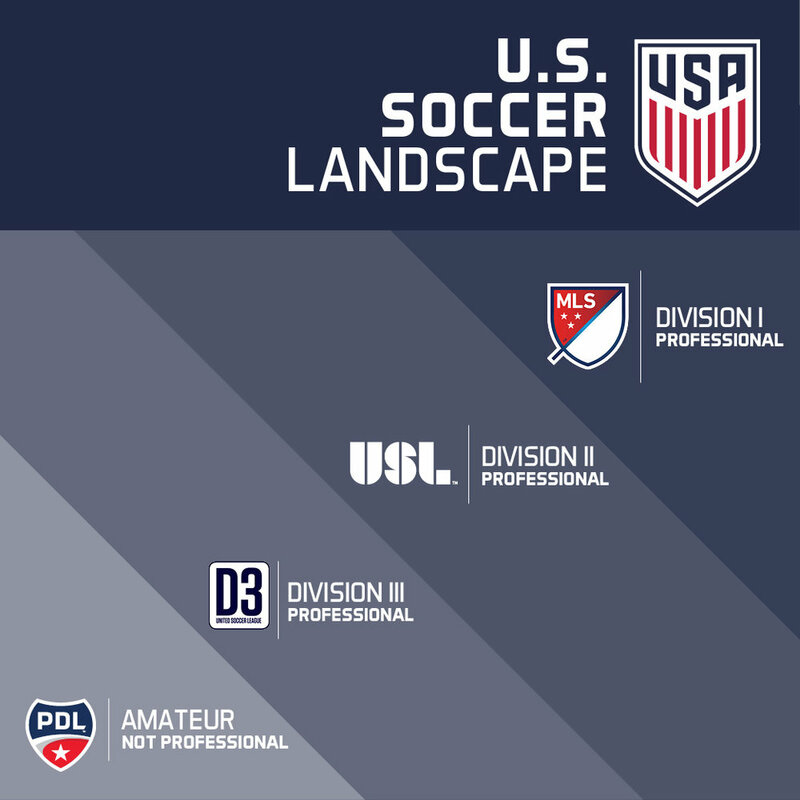 When I went to their website, I didn’t find anything in terms of branding, so I went to the USL’s website to find the press release; all that is mentioned is that the colors and elements are inspired from the city, the usual generic description. One reference that was made is that Fresno means ash tree in Spanish, though I’m not sure what the colors represent... this is why BRANDING is so important. How come there isn’t any info out there about the teams identity? Determined to figure out this logo debacle, I went to the most trusted news source there is, Twitter. Boom, right away I found a thread regarding “elements that are unique to Fresno’s identity”. You can check that thread out below or view on Twitter. So while they figure out what their logo means, let’s begin to break it down. If you missed Monday’s post, I introduced color as being one of the most important aspects of a logo. The reason behind having 1-3 colors is mainly so the logo translates seamlessly no matter what type of application. Meaning, no matter how the logo is being used, it works without having to lose brand recognition. Keeping your brand consistent in all mediums helps your target audience make the connection as they see it more. Back to the colors, besides the gold gradient, we have about four different shades of blue; sky blue, navy blue, royal blue and then the initials “am” are in another different shade of blue. Going off what King said; the gold is the sun. Which only shines on Fresno and that’s why it’s such an important element, obviously(please note that this is sarcasm). It’s a stretch but sure, let’s go with that. Now the light blue and dark blue colors, that I thought were sun rays, actually represent agriculture. Since gold represents the sun, it just seemed like that was the logical explanation. Usually agriculture is shown with green, but maybe there’s another reason for their color scheme. I do hope we get a brand narrative that goes into detail at some point in the future. As well as an explanation as to why they didn't follow the brand colors of Fresno Fuego FC of the PDL. It would have been much easier to build off a brand that has been around since 2002. All right, now let’s get into these “design elements.” Most obvious one is the clip art generic soccer ball. I get it, there are so many soccer logos out there, how can we make it our own? Well if you can't, a simple solution is to remove the ball entirely. We already know you’re a soccer team, if it’s going to be generic, it’s best to just leave it out. Besides the soccer ball, we have some light blue lines and some random gold elements. Can this logo be embroidered, without losing any quality or leaving out any elements? No, possibly a sewed on patch, but even if you make the logo extra big, its going to be hard to get all those elements in there. The letters EST 2018 are barely recognizable and the AM initials are gone. A great example of clean and clever design is Phoenix Rising FC, newly branded USL team that originally was Arizona United SC, features a custom soccer ball that evolves into a phoenix. Undoubtedly, one of my favorite logos. You can see a quick breakdown of PHX below. In terms of hierarchy, the top element that is recognized first is the word FRESNO. A simple sans-serif font is used, not sure what the font family is, but we see many teams going with a clean font as their names. White against any dark background color will give you great contrast and attract the viewer's eye; for example, Phoenix is using white and a bright red text against a black shield, and Fresno is using white text against a blue shield. Even though the city of Fresno’s website has no mentioning of ash trees in any of its history, it did note that Fresno County is ranked first in the nation for agricultural production with annual sales in excess of $3 billion-source. 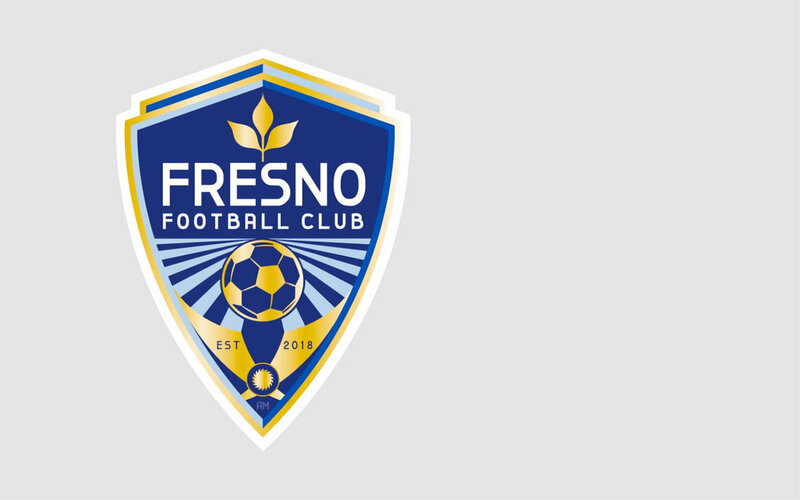 However, according to new General Manager Frank Yallop, Fresno means ash tree, that’s why an ash leaf is featured in the crest; my question is, why not expand on that? Why not take out all the unnecessary elements in the logo and focus on the ash leaf? As I mentioned in my last post, teams are trying to simplify their logos and set focus on what they want their team to portray. Again I go back to Phoenix Rising FC, they’ve eliminated all the extras and kept it simple with one clear element in the middle of the shield. Since I began researching this logo and working on my breakdown, I began to wonder, how would I design Fresno's logo? I'm not sure who designed the logo, but I think I know what happened, this might be a case of the executive likes this, therefore this is what we are going with. Which if you haven't experienced yet as a designer, you might want to get used to it. I did manage to find out that the Director of Marketing is Jordan Wiebe, you can check out his twitter page here @jordanweeb. He's also the founder of an Arsenal support group, @FresnoGooners which features, and I hate to say it, a very clean Arsenal inspired logo. After seeing that, I sure hope he can steer Fresno in the right direction. If you want to take a look at more of his work, you can check out his Behance portfolio here. After getting into this, I mocked up my own logo design. Below is what I came up with, basing my work off a minimalist approach like Phoenix Rising, I eliminated the sky blue and kept it to just 2 colors. I decided to remove the soccer ball, the agriculture lines, the gold elements, and the initials at the bottom. I understand the sentiment of the initials, but I would want to see that handled a different way rather than putting it on the logo. Being that Fresno means ash tree, I brought the ash leaf down, enlarged it and gave it a two tone. Which then led me to put the sun at the top of the crest and est 2018 at the bottom in bold, so it's a bit easier to read. But as I was creating this, I realized just how versatile this logo could be! Not only do we have various colors of shields but we can also remove the the leaf with the name and use it as a word mark. But even after that, there's more, you can use just the ash leaf as its own icon. Take a look below! Overall, this logo does not meet the standards of a professional team in my opinion. ANY new team joining the growing landscape of American soccer NEEDS to step up their game. Especially since any club owner/investor wants to make money, I would think they would spend some more time, more effort and money. In 2016, USL's franchise fees were around $10 million; you're going to tell me they can't afford to invest in a developing a brand that connects with their target audience? It just doesn't make sense to me. Let's hope the newly announced Birmingham side can learn from Fresno's mistakes. Next up, the Charlotte Eagles of the PDL, who just beat out Thunder Bay Chill for the 2017 Championship last Saturday. Originality- What makes the logo its own? Does it stand out among the rest, or blend in?- Typical soccer crest with no clear objective or sense of style. Creativity- Is there that special thing that makes it stand out? What sets it apart from the others in a special way? I want to see something that hasn't been done before, or some type of special modification- Everything in the logo is something we have already seen before, there is nothing special about it. Color Scheme- I'm looking for 1-3 colors, maybe four, at the very most five, if they're used well- This logo seems to go for the make it shiny crowd.